The CAT 2012 exam has two sections, in order. No change in structure from the previous year. 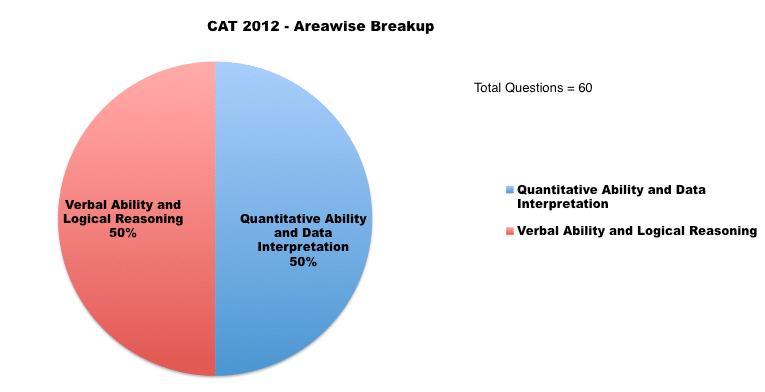 CAT 2012 witnessed 2 sections with designated time limits that are 70 minutes for 30 questions in each section. Within the allotted time candidates can review the section but as they move on to the next section then they can’t go back to the previous section. The questions in this section were of moderate difficulty level. The trick here was to aim for high accuracy by correctly identifying the questions that one was confident of solving correctly. RC’s were manageable, not being inordinately lengthy or abstract. At most only one of the three given passages was tough. 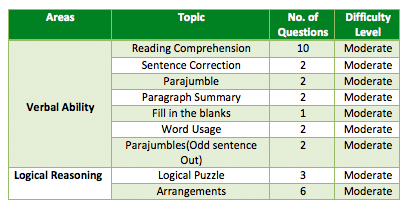 There was a balanced mix of questions from the various areas of Verbal Ability. All the questions in LR came in sets of 3. There were 21 questions of QA and 9 questions of DI in both the slots. The difficulty level was high and the questions were designed to test the grasp of fundamentals. There were questions from regular topics like Number System, Algebra, Geometry, Modern Math and Geometry. Questions in Data Interpretation area were also not simple and involved convoluted calculations. All the questions in DI came in sets of 3. 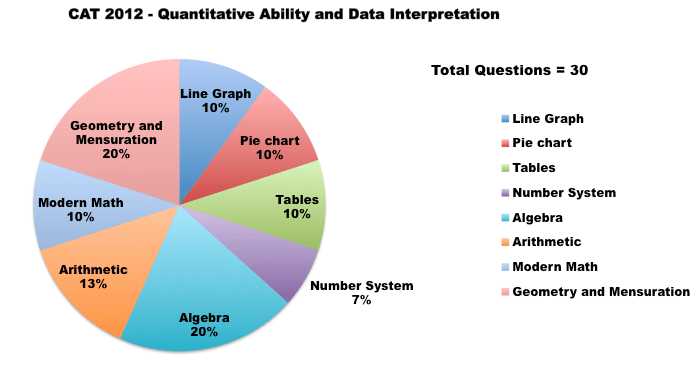 Though the difficulty level of CAT 2012 was balanced in the later slots, initially the toughness quotient rested only on the quantitative ability & data interpretation section and the verbal ability & logical reasoning area seemed to be a cakewalk. This skewed distribution of the difficulty level once again seemed to prove CAT as a test meant for students from the engineering and science backgrounds.